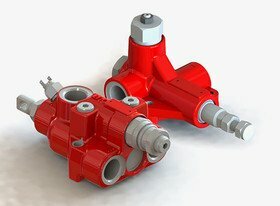 The Binotto complete hydraulic kit concept maximizes all areas of your hydraulic application with a full range of unbeatable high performance products and components. 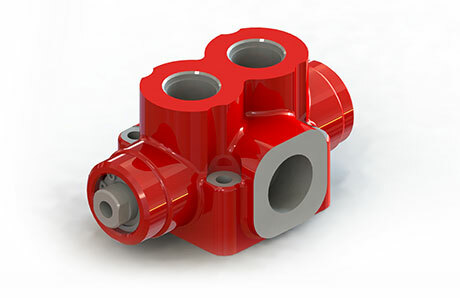 Beside standard items, Binotto also provides high quality valves for various special purposes connected with the tipping application, such as: hydraulic safety valves for tippers, end-of-stroke valves, diverter valves and other special hydraulic valves for tipper trucks. 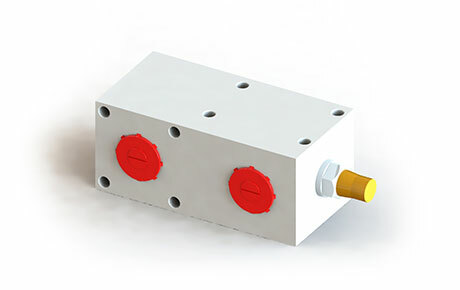 The pneumatic diverter valve is a 3-way, 2- position high pressure diverter valve, designed for tipper-crane or truck&trailer applications in order to control 2 pressure lines separately. 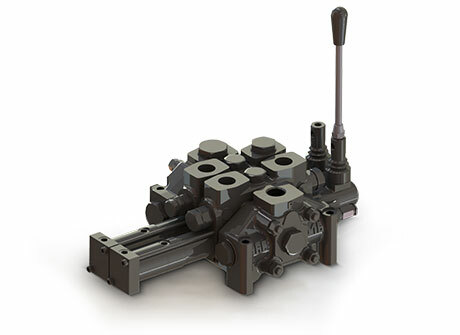 With cast iron body, this robust multifunctional hydraulic valve includes a maximum pressure relief valve, an anti-shock valve and an anti-cavitation valve. With pneumatic or mechanical control, this valve is suitable for those applications with independent separate control of the cylinder (single acting) and the rear gate (double acting). We have several types of safety valves. 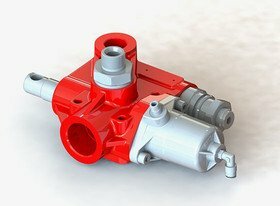 Binotto compensated flow control valve is the suitable solution for semitrailer manufacturers. 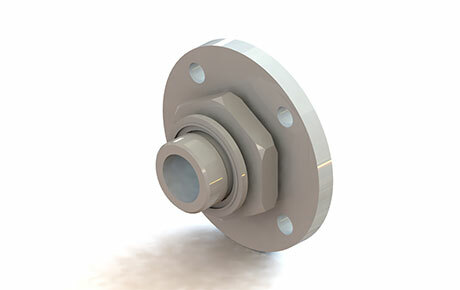 Compact design, light in weight, it is reliable and easy to install (flange for direct installation to the cylinder oil inlet also available). The Binotto compensated flow control valve operates to regulate the oil flow during lowering operation in order to keep a constant speed . In normal conditions( low flow rate), it will not operate or intervene to regulate the oil flow speed, it will just prevent overheating. This safety valve operates in critical cases only (high flow rate conditions), whenever there’s a risk of a too fast lowering of the body such as: in case the hose connecting the tipping valve with the cylinder is damaged, burnt or broken or even in case of excessive payload during lowering operation. 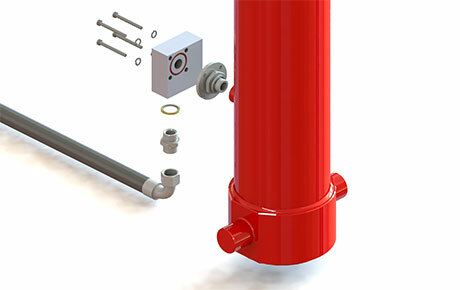 In these critical cases, Binotto compensated flow control valve regulates the flow during the lowering operation, avoiding the cylinder to close too fast and preventing consequent hazards and risks. Available also for low temperature working conditions, upon request. The max pressure safety valve is specially dedicated to semitrailer application. During the normal operations this valve works simply as an end-of-stroke device, just redirecting the oil flow to the oil tank at a very low pressure.